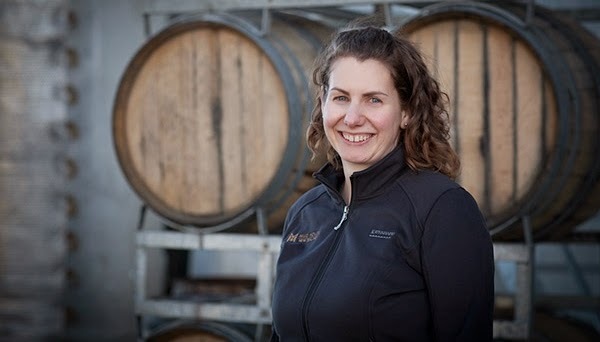 When I called Nadine Worley, one half of the winemaking powerhouse from Mud House wines of New Zealand, I knew that I was in for a treat: Nadine has the kind of innate knowledge of her vineyards that only comes from incredible passion blended equally with tremendous work ethos. Nadine's respect for her little patch(es) of Marlborough and Waipara is self-evident in her wines and I was excited to have a few minutes to dig through the many layers of her hard-won knowledge. KRISTOF: Nadine, thank you so much for taking the time for us today. NADINE: Well there's a reason why some of the finest wines in New Zealand rarely leave New Zealand~! Our locals really have come to love the work that we do and, while exports are incredibly important, some wines are made in such small quantities that some markets that rarely see them. KRISTOF: - but the range of flavors! NADINE: -thanks Kristof, that's what we're striving for. 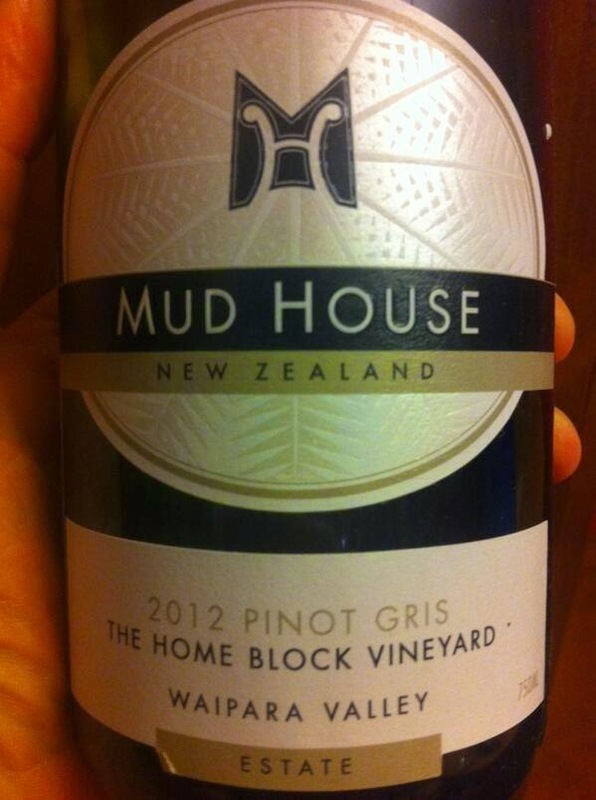 We at Mud House are really excited about this great range of flavors and aromas that New Zealand terroir wants to express: from lush tropical notes to green peppers to grapefruit. For us it's that trinity of balance, dimension and flavor that we're only just getting to because we're starting to truly know the sites. NADINE: -not an easy task, for certain. But what makes it easier for us is that our markets are really telling us what they want; in Australia for example they love the young fruit flavors/more of a Spanish style . Whereas in the North American market we definitely need more concentration in the wines even if only due to the length of time the wines need for travelling, crossing customs, and then finally reaching the consumer. KRISTOF: So lead me through it then; explain it to me like I'm 5 years old: what, to you, are the biggest differences between the Mud House labels when it comes to "Woolshed", "Homeblock" and "The Mound". NADINE: Well when we're talking about "Woolshed" we're talking about such a work in progress; this is truly a case of knowing the individual blocks and what they want to showcase. And that takes time, no way around it. When we get down to brass tacks and are finally tasting the wine from the blocks, we do it blind so that there's no prejudice. And if the acid is high? We showcase it! Because that's the wine that "Woolshed" wants to make that year. NADINE: That's a vineyard that I feel still needs some vine-age to really develop the phenolics; this is wonderful gravel soil with enough clay to it that Pinot Gris is showing beautifully on it already. palate: clean; dry, medium+ to full grapefruit acid, medium- body, medium alcohol (well integrated 13.5%), medium concentration of youthful flavors that are in-line with the aromas; a clean line of minerality is enhanced by the orchard-fruit tones and a peppery finish. Very good to excellent balance, very good structure, medium- to short length. NADINE: Well that's the heartache for us; it's just such a hard sell for us still to showcase single vineyard Riesling from New Zealand... when people think about great Riesling, they aren't thinking about us yet. KRISTOF: A pity... I've enjoyed some top-tier Riesling from around the world and yours is certainly one of them. KRISTOF: On to a happier topic: tell me about some of the regions outside of New Zealand that are most exciting for you personally right now? KRISTOF: One of my favorite regions as well! But now what about within New Zealand; what's the place and what's the grape that's really tugging at your heart? NADINE: That's easy: Central Otago Pinot Noir. I've absolutely been blown away by the flavors; the complexity and texture that are being achieved there right now when the vines get a bit of age to them and we the winemakers come to a better understanding of the sites. KRISTOF: And so if Pinot Noir is the grape that you're most attached to these days, what's the oddest you've seen in New Zealand? KRISTOF: -and yet they're growing some brilliant Gruner in Australia as well these days. NADINE: True, small quantities but excellent quality. KRISTOF: So we're living in the greatest age of wine-making the world has possibly ever seen. So many boundaries broken, so many traditions shattered... New Zealand is renown as the land of Sauv Blanc, and now Pinot Noir - both cool climate grapes. Is it possible that we could see a cool climate Bordeaux style blend coming from these inspired winemakers? NADINE: Definitely. Without a doubt. The area around Hawkes Bay... 5 years ago people would have thought it was madness but, now? Climates are changing, the world is changing, and we're seeing that something like that is possible. KRISTOF: So much possibility... Nadine, there are going to be a few young winemakers who read this. Any words of wisdom? NADINE: I don't know how much wisdom I have, but: just treat the vines with respect. Soil health/biodiversity... it's really about not putting into the soil what you don't want want to take out, and that doesn't need a certificate, just common sense. That, and while you're out in the world and learning - make sure you keep those good principles you're fortunate enough to see in action. KRISTOF: And a last question, a bit more personal: If you could have anything right now, anything in the world, what would it be? NADINE: I love what I do, where I do it, and the madly brilliant people I get to work with. NADINE: One day, it will be me on a little plot of land. I'll have Pinot Noir, a bit of Chardonnay... and it will be decades of getting to an intimate knowledge of my vines until I can name every single one of them. KRISTOF: Beautiful vision you have Miss Worley. Thank you so much for sharing your time with us. NADINE: My pleasure Kristof. Please come and visit. 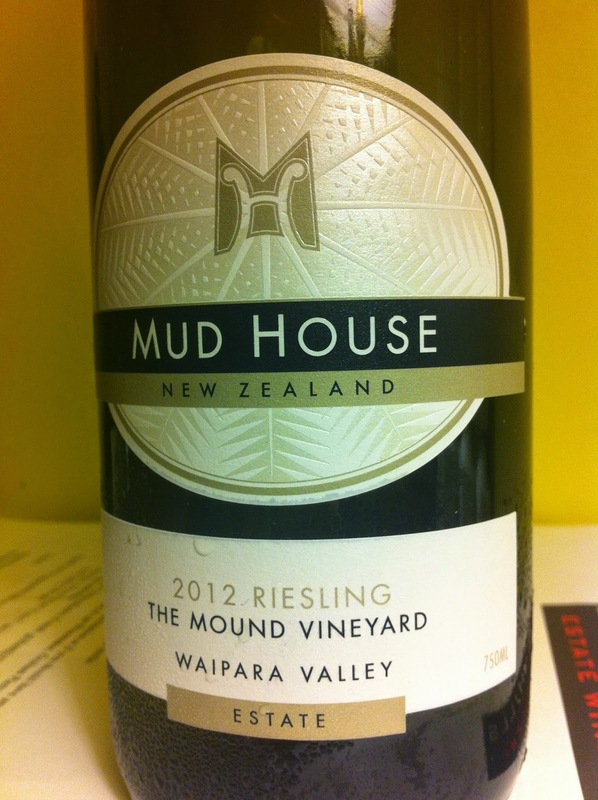 And that was the end of my whirlwind adventure through New Zealand terroir with Mud House and Nadine Worley... 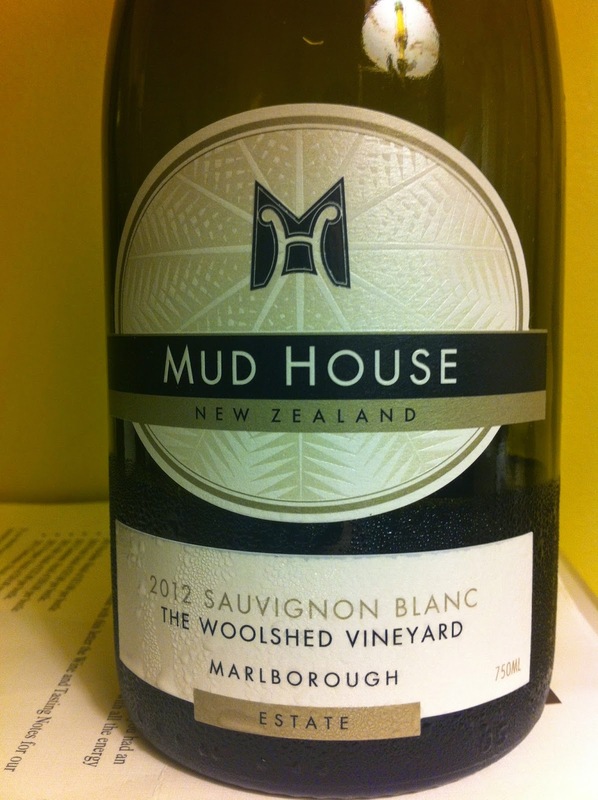 I set out with the clear intention of understanding what Mud House was "bringing to the table" with their single-vineyard offerings: more concentration? Better balance? Structure? Really, was it worth the extra $10 or $15 to upgrade? I got more of an education than I was expecting. For in this winery, and in these winemakers, I've found small-town values in the big city. Here is a place where the land isn't just respected, it's the beginning, the middle and the end of the story. Here is a place where winemakers hope that this year they will understand what their vines are trying to say - just a little better then the year before. Nothing is perfect; perfection is a dream of vanity. But... these entry level wines are full of concentration and balance, which makes them anything but entry-level. And the single vineyard wines? As lovingly crafted and articulate about the soil as could be hoped for by any maestro. The wines alone would be reason enough to admire Mud House vineyards, but, I find it is the genuinely humble and talented artisans who work there that have won my respect.